Lab Zero is showing Indivisible at its booth at PAX West right now, and despite having several stations set up, it's been over capacity every time I've walked by. 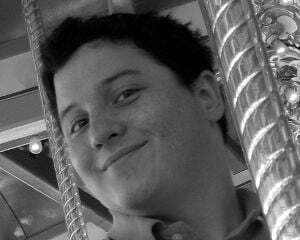 On display is the most recent backer preview, released this past June. It's new to us; Mike Cosimano's preview from last year was on an older build. 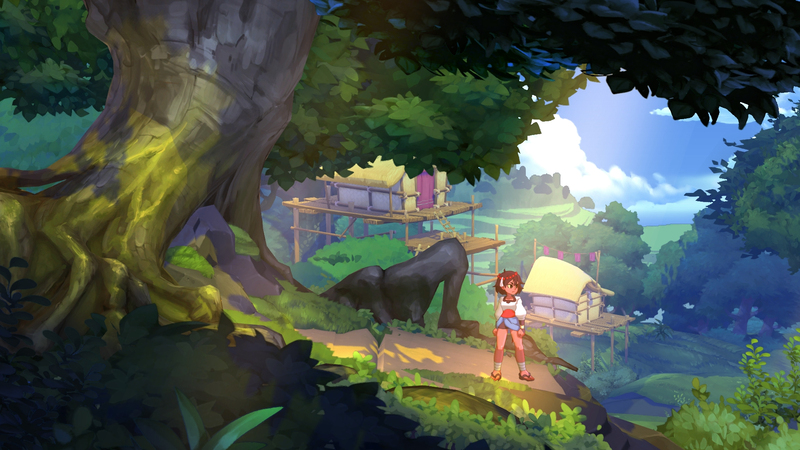 Looking through the backer notes and Cosi's preview, Indivisible is making steady progress in fleshing out the bits that needed addressing. The systems feel more interconnected, giving reason to elements that didn't have a whole lot of purpose before. 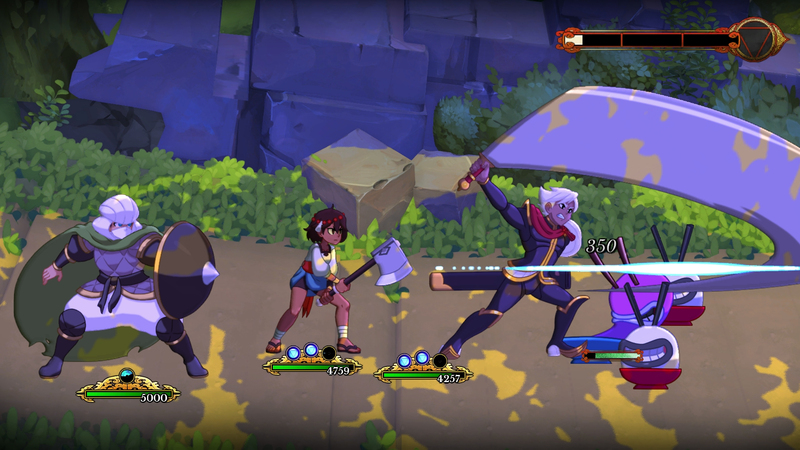 The striking thing about this new build of Indivisible (after the animation, which has always been excellent) is the sheer volume of available characters. Each has its own visual design, but more impressively, each brings something different to the battle. What's impressive about the combat is that each character in the party is assigned a face button, and everything that character does is tied to that single button. It feels almost like Super Smash Bros. -- a simple press grants a default attack, but holding a direction modifies it into a different action. With four characters in the party, it's possible to create long chains of attacks by switching to a different button once one character is spent and recharging stamina. Not all characters play the same. So while it's possible to get through battles by just button-mashing whichever person is available to attack, there's a lot of room for strategy and finesse. Early on I recruited the swordsman Dhar, whose default attack is a powerful slice over a small area, but his down-action powers up his future attacks in that battle. Further on I got the botanist Ginseng, whose up-action is a weak team heal. Eventually, I had a pirate woman whose up-action is an artillery shot that can hurt teammates if they're near the target. So I eventually got into this rhythm: power up twice with Dhar and attack, attack three times with Ajna (the main character), heal with Ginseng if we needed it, otherwise attack, then finish off with a triple artillery shot to make sure everybody was out of the way. It seems simple in writing but the combat is pretty fast-paced (for an RPG) so it didn't get dull in my time with it. Outside of combat, Ajna navigates the world in a 2D platformer, metroidvania style. Areas are initially locked off but can be accessed with advanced abilities. Hidden around these areas are small trinkets to find that had an impact on combat. After collecting enough crystals, the characters could act more times in a row in battle. After finding enough of a certain type of plant, Ginseng joined the group. It might not work exactly like that in the final version, but it was nice to feel like the exploration aspect affected combat in significant ways. Another very cool thing about the two halves of the game interacting is in starting a battle. Catching an enemy off guard with an attack in the overworld starts the battle with all characters at full stamina, ready to unleash of flurry of attacks. On the other end, if an enemy in the world gets the jump on Ajna, the group starts with no abilities at the ready and can only defend for the first volley of incoming damage. In my time with Indivisible, I got to see eight or so characters, and played around with each. Since they all have slightly different abilities, it seems like there can be a high skill ceiling for expert play. I whiffed some attacks by button mashing, as with Ajna's uppercut that launches an enemy into the air (so it wasn't there on the ground for subsequent hits). I can only imagine there's a way to combo that with another character who can hit that enemy while it's up there. 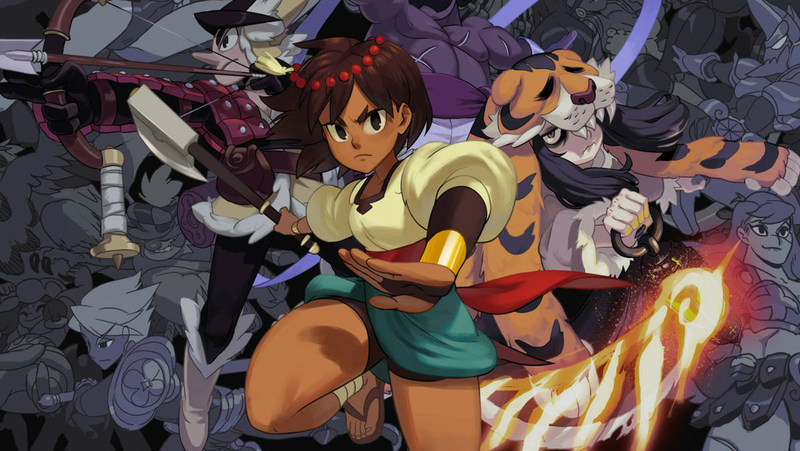 The great news came with a bit of a wink and a nudge: There are at least 20 playable characters at launch, with the implication there's a distinct possibility for more over the lifespan of Indivisible. With so many possible character combinations, there's plenty of space for experimentation and it looks wide open for high-level, interesting combat interactions.